Jerash is an hour and half drive north to of Amman and dates back to the Bronze Age. 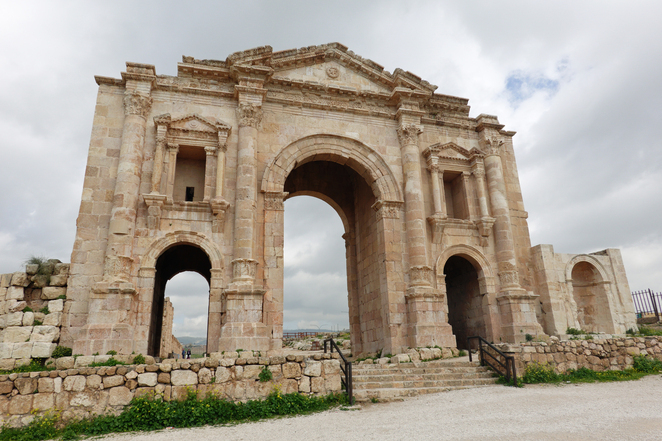 Whilst there is the town of Jerash we went to the Archaeological Museum which the town surrounds. Where we saw the ruins of when the Romans ruled including Hadrian's Arch, the Corinthian columns of the Temple of Artemis and the huge Forum's oval colonnade. The site is rather large and is quite spectacular. 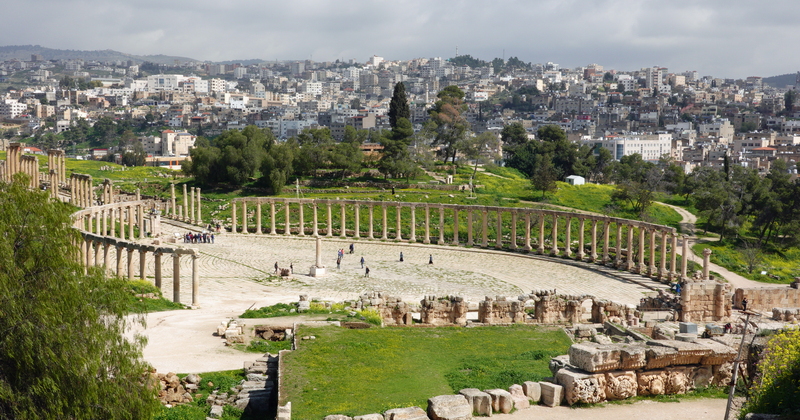 It hosts a range of views in each direction over and beyond the Archaeological Museum and do not be surprised if you see a shepherd or two with their herds roaming through the historic site. The road to Jerash from Amman is quite bumpy and turbulent however the landscape varies the whole way. One minute you will be seeing dirt and then the next you will see an olive tree farm. You will also see a few shepherds roaming around the highways and climbing the cliffs. It is quite remarkable.